EGS SECURES CONTRACT FOR GEOPHYSICAL SURVEY ON US OFFSHORE WIND PROJECT. EGS has been awarded a contract to carry out a range of geophysical surveys in the framework of the development of the Bay State Wind offshore windfarm located off the South Coast of Massachusetts in the United States. The Bay State Wind project is a joint venture between Ørsted, the global leader in offshore wind, and Eversource, New England’s premier transmission builder. The survey work, aimed at providing high quality high-resolution geophysical data, will run through until the end of the summer. The scope of work covers surveying the planned locations of the 110 wind turbine generators, offshore sub-stations and inter-array cables, as well as the export cable route connecting the windfarm to the shore. 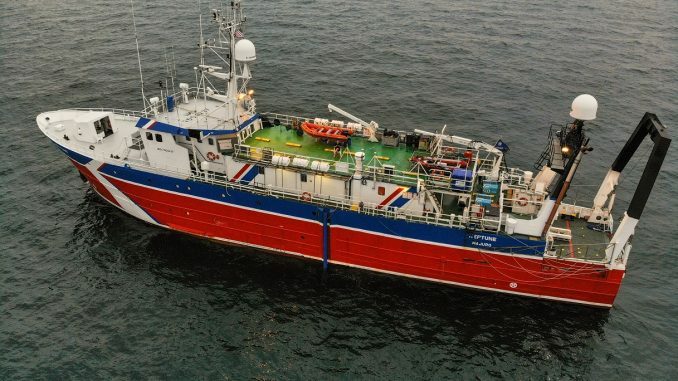 To fulfil the purpose of the project, EGS has mobilised a 50m survey vessel, the “MV Neptune”, and will be using a full spread of high-resolution bathymetric and geophysical equipment, including a hull mounted, dual head/dual swath Kongsberg 2040C MBES system as well as an Innomar SES2000 Parametric SBP and an Applied Acoustic S-Boom triple plate Boomer. This is the first US windfarm site that EGS has surveyed so the experience gained by the EGS group globally will be the key to the success of this project. The project teams focus will be on safe operations, low environmental impact and high-quality deliverables.